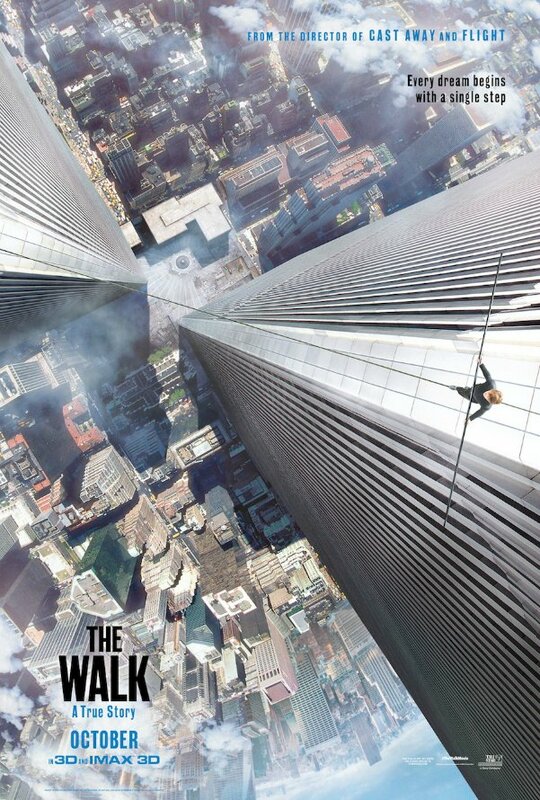 The first trailer for the The Walk may have given you vertigo even if you don’t have a problem with heights. The film is the story of French tightrope walker Philippe Petit who walked between the towers of the World Trade Center on a wire in 1974. While the first trailer was over two minutes long, it was barely more than a teaser, showing us very little of the actual film. Today we got a look at a new trailer, which gives us much more to see from very high up. So apparently what we're looking at here is equal parts IMAX 3D spectacle and Oceans 11 style heist movie. It makes sense. They essentially were planning a crime. It’s not like it was entirely legal to just throw a cable between the towers and go on a walkabout. Joseph Gordon-Levitt’s French accent sounds solid, and probably won’t have you stabbing your ears with a pencil an hour in. The only question remaining is, will the payoff of the walk at the end be worth dropping the extra cash to see it in 3D or IMAX? In addition to the new trailer it was also announced today that The Walk World Premier will open the New York Film Festival this fall. It’s only the second time a 3D feature has opened the festival (Ang Lee’s Life of Pi being the first). This is Robert Zemeckis’ second consecutive film selected for the NY Film Festival, as 2012’s Flight closed the festival that year. Zemeckis said that The Walk is "a New York story," which is why he was thrilled with the selection of his film for NYFF. Petit’s story has been a popular one in recent years, as it was also the subject of the 2008 Academy Award winning documentary Man on Wire. This film will certainly dramatize events somewhat as films based on true stories are wont to do. Still, there’s enough real life drama here to make for an exciting movie. The fact that nobody will ever be able to recreate this famous feat has made the events that The Walk depicts just as poignant as they are amazing. Robert Zemeckis, who loves to see how hard he can push technology in his films, appears to have faithfully, and realistically, re-created the Twin Towers themselves, as well as the walk between them. We’ll all get a chance to stand 1,300 feet above New York City when the film is released October 2.